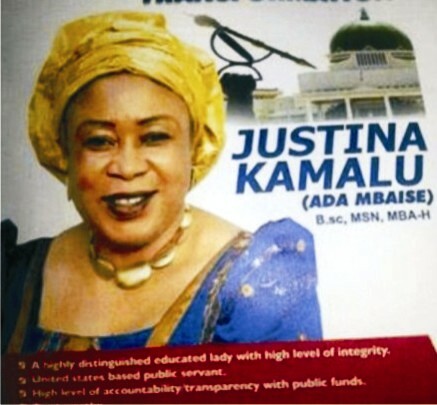 The Justina Kamalu Campaign organization has applauded the senior national female football team, Super Falcons for winning the 2018 African Women Cup of Nations AWCON, in Ghana. “We are happy that the team despite the numerous challenges, also reaffirmed the never say die spirit of an average Nigerian. “This success which has taken the nation’s haul in the continental championship to a record nine times underscores the strength of Nigeria when it comes to female football in Africa. “We urge the Nigeria Football Federation (NFF) to keep afloat its promise by immediately kick starting preparation for the FIFA 2019 Women World Cup in France. “Nigeria has over the years dominated the African scene and the icing of the cake will be excelling at the global stage where unfortunately the country has not been able to impress. “Sports in Aboh Mbaise/Ngor Okpala Federal constituency will improve to enable them compete in the competitive world of sports if she is elected into the office in as member representing the area at the green chambers. “Notes that the time to beef up the team is now going by the fact that, apart from losing to the Bayana-Bayana of South Africa in the opening group game, the team equally had to face extra time to win the championship through the lottery of penalty shootout. “It could be recalled that the African champions struggled to defeat Cameroon in the semi finals, which was also achieved after penalty kicks. “All these are indicators that we must go back to the drawing board if we must continue to excel in the championship, as other African nations are beginning to catch up with us. “The foreign coach must be made to be on top of his game, because the output of the Super Falcons in the AWCON was arguably the poorest and we must not allow the game to dia in the country”, he concluded.